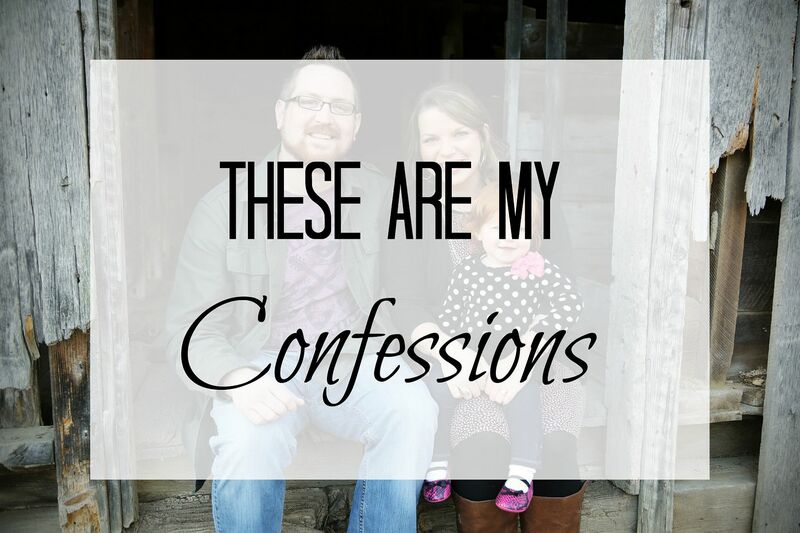 I had so much fun with my last confessions post and had such a great response from you guys that I figured I would share some more confessions with you. I stomp on my slippers every single morning before putting them on, just to make sure there aren't any critters inside. I gave up sodas at the beginning of the month and I honestly haven't really missed them. I thought I would miss them because [huge confession coming] I used to drink about 2-3 sodas a day! I let Baby K watch Mickey Mouse Clubhouse while I cook dinner because I know it will keep her attention and also keep a mess from occurring in my living room or her bedroom. Call me a bad parent, but when I'm by myself during Tolar's night class it's the only option. My hearing is impeccable; according to Tolar I can hear a mouse fart. :) I often wish I didn't hear as well as I do because then maybe I wouldn't get so creeped out by every single little noise I hear. Tolar agrees with the above confession. Hearing Baby K say "Mick-EE" can bring a smile to my face no matter what the situation. My DVD collection and iphone apps are all alphabetized and I want to alphabetize other collections of things too. I usually check my phone for messages first, too. See if anything important happened overnight that I didn't wake up for. I can just imagine the critter stomp, haha. I don't get email notications, for that reason. I just check my email when I need to so I can delete everything I don't want. A mouse fart, too funny. I have really good hearing, especially at night, which can cause me to go into crazy scared mode, haha. My nephew LOVES MMC….or as he calls it HOT DOG! [hot dog, hot dog hot diggity dog] Such a fun show. Hope you have a great day, friend! Yes for giving up soda. I went caffeine free 25 days and then had a soda. That has been my only soda for the month so far. letting you daughter watch a little TV doesn't make you a bad parent at all. Alphabetizing makes me happy. So does arranging my closet by color and sleeve length within color. So sad. My daughter loves MMCH! She's obsessed with Minnerella and Minnies Winter Bow Show right now... and she spends many evenings watching it while mommy makes dinner and then there are a few weekend mornings we spend a little extra time in bed thanks to MMCH. She's happy, we're happy, and no one is hurt!